Great news for the Michael J. Fox Foundation. After Day 5 of the 2011 Nike MAG eBay auctions wrapped up, we actually saw a slight increase in overall money raised from the previous day's closings. Great news for the Michael J. Fox Foundation. 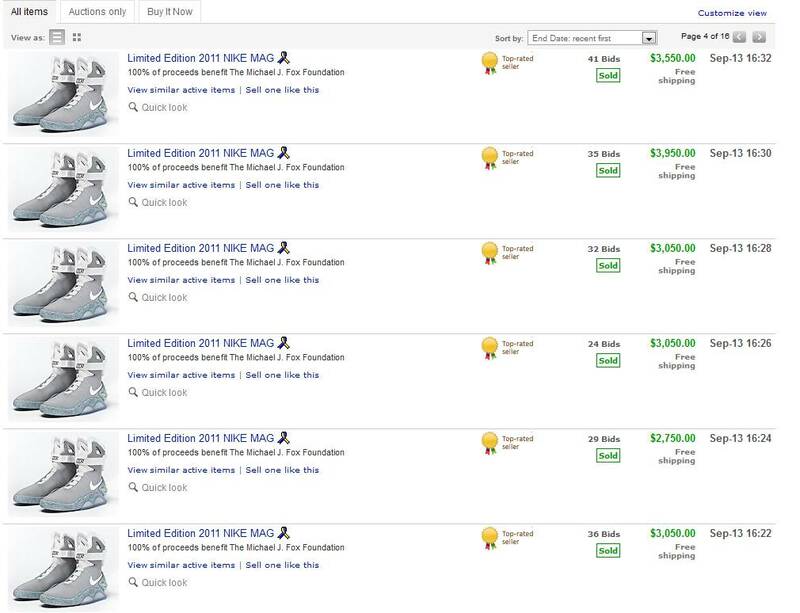 After Day 5 of the 2011 Nike MAG eBay auctions wrapped up, we actually saw a slight increase in overall money raised from the previous day's closings. When all was said and done, Day 5 generated another $511,112 for the foundation, an average of $3,407 per pair. The highest amount anybody paid for a pair of MAGs from the fifth group was $4,535. 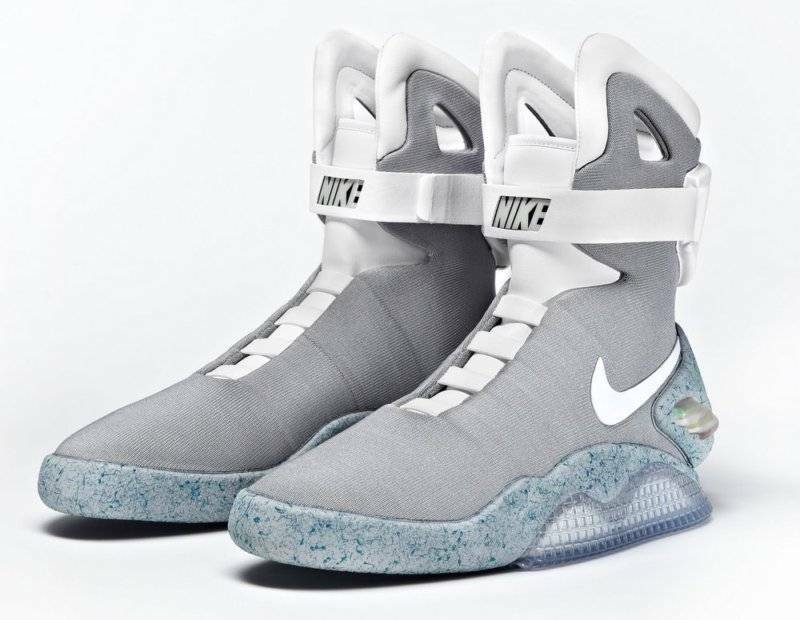 The current grand total after give days of Nike MAG auctions is somewhere around $3,134,969. On average, the MAG has gone for a healthy $4180 per pair. Google Co-Founder Sergey Brin's pledge to match all incoming Michael J. Fox Foundations for the remainder of 2011 means that more than 6.2 million dollars will be spent on helping find a cure for Parkinson's Disease. Day 6 has been underway since last night and we're slowly creeping toward the end of the 1,500 pair run. Make sure you stop by nikemag.ebay.com to place your bid today.